Home » Forensics » Laws of inheritance – how does the paternity calculator work? A blue-eyed and brown-haired woman is expecting a child with a green-eyed man with ginger hair. What colour of their child’s eyes and hair is to be expected? We all have probably learned this at school but is it really that simple? How does the paternity calculator work and is it a reliable tool? How should these be understood? The mentioned alleles are in short one version of a gene. Among human characteristics, there are so-called dominant and recessive traits. The dominant, stronger ones have the most influence on the appearance of a child. But practice shows that sometimes the recessive genes, which are ‘the weaker ones’, may demonstrate themselves. Dominant traits include, among other things, dark and wavy hair; brown, hazel and green eyes; thick body hair; normal skin pigmentation; freckles; good hearing; long eyelashes; protruding ears; early bolding; and also eye defects like astigmatism, long-sightedness and myopia. Moreover, they are also responsible for a hooked nose, an A or B blood type, good blood coagulability, susceptibility to allergies, hypertension or short stature. In order for recessive genes to reveal themselves in an offspring, both parents need to have them, at least in theory. Recessive traits are blond, ginger and straight hair; thin body hair; lack of balding; albinism; lack of freckles; congenital deafness; blue, grey and brown eyes; normal height; short eyelashes; adjacent ears; straight nose; the O blood type; haemophilia; lack of allergies; susceptibility to diabetes; sickle cell anaemia or susceptibility to tuberculosis. 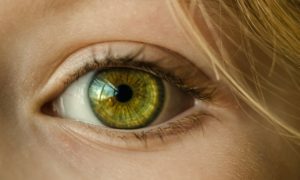 According to the above, brown-eyed parents are most probable to have a child with brown eyes but this is not always the case. It may have blue eyes (a recessive trait). But when it comes to blue-eyed parents (a recessive gene) it is rather improbable for them to have a child with brown eyes (a dominant gene). Anyway, it has to be stated that genetics likes to play tricks. Determining a blood type of a child is necessary not only to verify paternity but also to guard its security and health in case of life-threatening situations. Knowing one’s blood type enables a successful blood transfusion. The dominant human blood group system is ABO and the blood group O is the most common one. Almost half of the UK population (48%) has the blood group O, it is also prevalent in the Indian, Chinese, Ethiopians and Eskimos. The AB blood group system is relatively the least common in all populations. On the basis of the dominant and recessive genes presented above, you can predict a blood type of a child that is to be born. If both parents have the blood type A, their child may have A or O, as the recessive gene (the O blood type) may reveal itself. Parents with A and B blood types may give their child the following blood group: A, B, AB or O. Parents with the O blood type will have a child with the same blood type as the recessive gene present in both parents is revealed. If one of the parent’s blood type is AB, it is impossible for a child to have O. This knowledge is extremely important in the case of the rhesus incompatibility. At the beginning of the 20th century, researchers found in human blood chemical agents – antigens and antibodies. The most common RH antigen was discovered in 1941 by K. Landsteiner, it is present in about 85% of people in our culture. It is marked Rh+, opposite to Rh- (blood without this antigen). The Rh disease occurs when a mother with a Rh- blood type is carrying a baby with a Rh+ blood type. It is possible, as it’s inherited from the father. During the labour, it gets to mother’s blood whose organism develops antibodies to fight it. 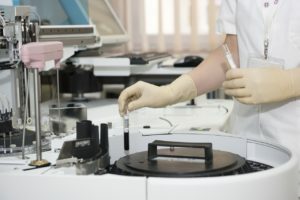 The newborn baby is not affected but it can have a negative effect on the health of subsequent Rh+ pregnancies, as Rh antibodies may penetrate the foetus’ blood circulation system, destroying its blood cells, damaging the foetus, resulting in miscarriage or haemolytic disease of the newborn. What’s the point of the DNA tests then? The Mendelian theory of inheritance, that we were taught at school, is in principle correct, and it constitutes the basis of our paternity calculator that lets you check the blood type or hair and eyes colour of your child. It lets you determine which characteristics should be inherited from the parents. But since 1866 genetics has made a quantum leap forward in research concerning human genome. We still don’t know everything about it, but it’s clear that inheritance is much more complicated than as assumed by Mendel. Mendel attributed one trait to only one gene and this is not fully correct. Now we know that many genes may be responsible for one trait, that is why many of us turn to professional DNA tests in case of doubts. Surely more than one gene takes part in the inheritance of traits such as dark hair, brown eyes or hazel and green eyes. Also, in case of other traits like susceptibility to diseases, environmental factors may play more significant role than genes as such. Early balding or haemophilia are linked to gender. Mendel told us a lot, but he was not always right, just as our paternity calculator.